For more than 25 years, United Way of Greater Atlanta has partnered with FedEx, FOX 5 and others for Project Overcoat, a coat and blanket drive for men, women and children in need. The drive runs through Saturday, January 24. The sorting and distribution of the coats will be coordinated by United Way and will be held February 4-6 and 9-13. 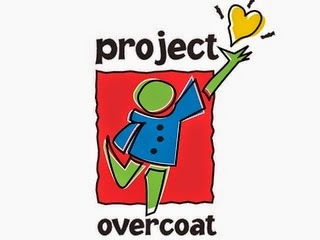 Project Overcoat is a perfect opportunity for families, church groups, civic organizations and others to volunteer. Last winter, residents throughout the 13-county metro region gave nearly 19,000 coats to their neighbors in need. This year’s goal is to collect 25,000 new and gently used blankets, coats, hats and gloves. United Way partners with 100 nonprofit agencies to distribute the items to men, women and children in need. To sign up to volunteer, register at unitedwayatlanta.org/events. Please see the details below. In addition to FedEx, other Project Overcoat sponsors include KISS 104.1 and Kroger. Please note: Parking is available for all volunteers in the United Way garage, located off Auburn Avenue. Please bring your ticket inside to be validated. Our United Way is the second-largest in the nation with more than $80 million in fundraising annually. We invest in more than 200 programs in 13 counties through the Community Impact Fund and participate in Collaborative Networks and Opportunity Zones with caring community partners to address challenges facing families and individuals. To donate, volunteer or advocate, dial 2-1-1 or visit unitedwayatlanta.org.